Since the company was founded in Livorno in 1980, our history has always been marked by constant growth and by our focus on the quality of our products and services, as well as on client satisfaction. This has made us one of the key players, both nationally and internationally. One of the first ships of our fleet: MT ALCE, 1996. 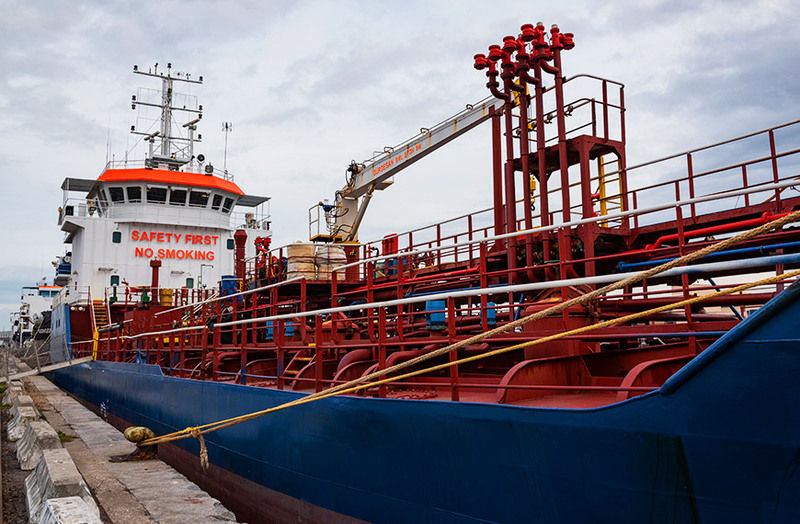 From the port of Livorno, our marine fuel and lubricant distribution operation began to expand into all Italian ports and into other services, in order to meet the diversified needs of our clients in an increasingly comprehensive way. From the outset, our shipping activity in the transportation of petroleum products in the Mediterranean has run alongside the Bunker service, and in the early 2000s we upgraded our fleet. During the same period, we launched the Clearing and Shipping Agency service in the port of Livorno, whilst our international expansion in the lubricant sector began in the second half of the 2000s. Today, we cover all of the world’s main ports. In 2018 we launched a constantly stocked storage service as leading ExxonMobil Distributors for small vessels in the territories of Italy and Malta.